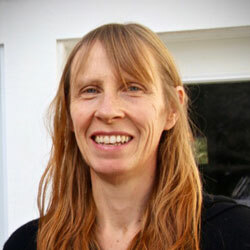 Nicola Redfern is an Insight Dialogue Teacher. She began practicing insight meditation in 2001, studying with a variety of teachers, and has had the good fortune of many months spent in silent retreat. Nicola has studied Zen intensively with Joan Sutherland Roshi since 2007 and Insight Dialogue with Gregory Kramer since 2009. She has taught Nonviolent Communication and is now a caregiver working with the sick and elderly. She is particularly interested in getting meditation off the cushion and fully integrated into life, work, and relationships, activating the potential to wake each other up.